Soil testing may seem like an unnecessary lawn care element but in fact, it is one of the most important first steps to determine what your lawn and garden needs to flourish. Soil testing provides valuable information to determine nutrient and pH levels. It is an important decision making tool to determine what nutrients and fertilizer are needed. 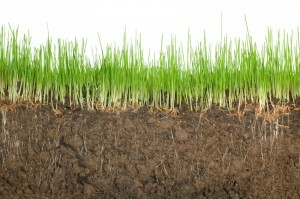 We recommend soil testing to help us better customize your organic lawn care needs. The success of any organic program depends on the correct balance of nutrients and organic matter in the soil. Soil tests give us the information we cannot see and helps us determine what soil amendments are lacking. Healthy soil helps to improve plant growth, manage weeds and control irregular plant growth. Please call us if you would like more information on soil testing.